Now and then I pull out a hair product review for you and this one makes me super excited! 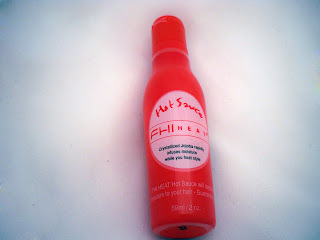 I teamed up with the powerhouse hair products and beauty seller www.folica.com to share with you this review. Have you all ever heard of the brand Sedu? If you haven't you've got to check out this review because I've found my new favorite Hair Tools line. Folica gave me the opportunity to browse their website and choose a few products. I was excited because then I could actually choose products that I knew I wanted to try as if I was buying it in real life. To do this, I decided to rely on customer reviews. It seemed like the overwhelming consensus was that Sedu was the way to go. I even have been to a couple of makeup gigs and mentioned it and a lot of my clients even knew about the brand. Check out my video review and see my new and improved hair! First off, I knew that I needed a heat protectant. It's very important to follow this step when dealing with hot hair tools. Initially, I honestly chose this one because I loved the hot sauce packaging, lol. I'm a tabasco sauce fiend! After trying it out, I can actually go beyond packaging and tell you about the product. The Hot Sauce comes out like a white creamy lotion. You only need a dime to quarter size amount depending on your hair length. You apply it to your damp hair after taking a shower. Let it set a minute and then proceed with blow dry and styling. I actually love how it's moisturizing, anti-frizz and a heat serum in one. Usually I apply a serum like Bio-Silk as well as a heat protectant but this eliminates the extra step. Unlike a lot of other serums which are silicon-based and only sit on the surface of the hair, this product actually penetrates into the hair shaft and really moisturizes. My hair definitely needs the moisture since it's color treated. I definitely recommend! I have been in desperate need of a hair dryer for a while now. I have two and both are several years old. I have two old ones that I picked up from Wal-Mart a long time ago. They make weird noises, short out on me and take a while to dry my hair. I chose this hair dryer because it was the fan favorite. When I used it, OMG, it was a miracle! My hair drying time was cut in a third! 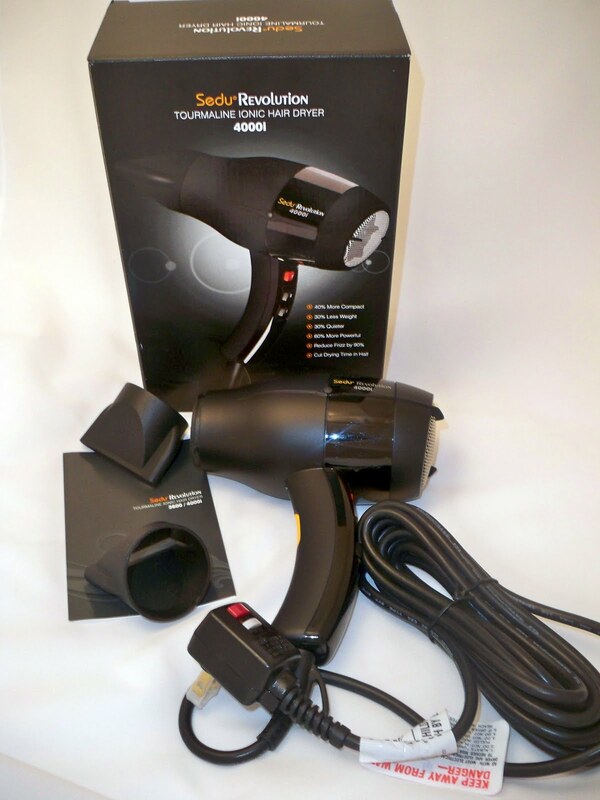 The hair dryer does have a little weight to it, but it's compact and is very powerful. It almost feels like you're using those Accelerator Hand Dryers, lol. It has different settings for hold or cold air and an ion setting that reduces frizz. This blow dryer has truly changed by life...I don't know how I've gone without it! Flat Irons are really huge now a days. 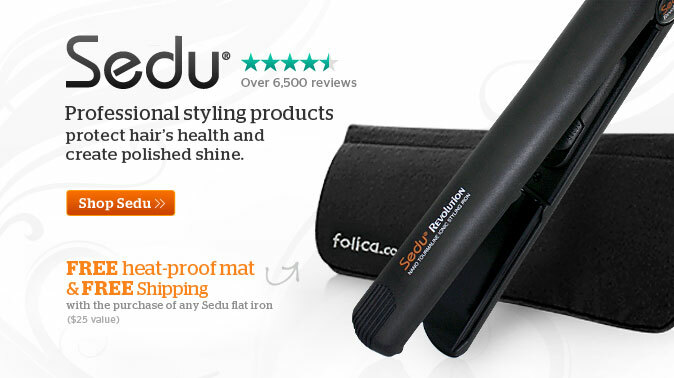 You use them to straighten, curl, and even dry hair! I've actually reviewed several flat irons on my blog but I can honestly say that this is my favorite for straightening hair. I actually usually curl my hair if I'm going out because I didn't like the way that straightened hair looked on me. However, after using this, my mind has changed. Again, I went with viewer reviews and they were right. This is such an amazing tool. I think the wider plates work better on my thick hair. I don't have that limp, piecey look that some straight irons give. I've actually had my hair straight in two tutorials and in both of them, everyone is loving my hair! It also visibly increases shine. I didn't think I would be a flat iron girl but this tool has truly changed by mind. Make sure to check out the before and afters on www.folica.com. What a huge difference! For those with hard to manage, ethnic hair, this really works! Here are some shots of me with my flat ironed and blow dried hair. Check out the shine! Pictures are completely unedited. All three products were huge winners for me. I'll be incorporating these into my everyday life routines. These are definitely investments especially if you want products that will last. I usually don't have a lot of time to get ready in the mornings but these fit right into my busy schedule. You can find these products at www.folica.com. FTC Disclosure: Products were sent for review. I am not affiliated with this company and not paid to write this review. These are my honest thoughts and opinions. thank you for sharing this Ren Ren! 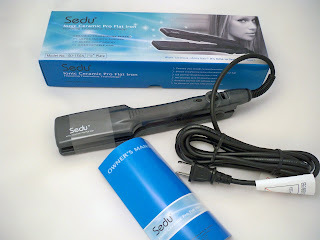 zomg I <3 my sedu flat iron, it's really that great, and I've had it for like 5 years now! Great product! I <3 my t3 tourmaline hair dryer! dries my hair in under 5 min! i hope you do a review on hair masks next! I really do need a hairdryer that cuts the time down to half!! thanks for this! I hope you put your before and after photos on the Folica website...your hair looks beautiful, Ren! I do need to take care of my hair because after I had my baby I have not done anything but just put it up in a bun and this seem what I need. THANKS YOU!